Do you suspect that your pool is leaking? Your suspicion may be correct. Pool leaks are ambiguous because they can occur inside or outside the pool, including the underground plumbing. Some leaks are quick fixes and others require professional diagnostic and major repair. Not knowing if your pool is leaking can be scary for any pool owner. Leaks can be costly in water and chemicals. They can also damage the pool equipment if the water level drops too low for normal operation of the pump. In this post, we’ll cover how to identify if your pool is leaking, and how to save yourself time and money by doing some of the initial investigative work yourself. That way, when it’s time to call a professional, you are prepared and have valuable information to provide. If you answered YES to any of these questions, there’s a good chance that you might have a leak. So I Might Have a Leak. What Do I do Now? The best place to start is by checking your entire filter system area (including the pump, filter, heater, and chlorinator) for obvious signs of leaking. If nothing obvious is found, you can move on to an easy self-diagnostic known as the bucket test. A bucket test will tell you whether your water loss is more than normal evaporation. Most people don’t take evaporation into account when considering water loss in their pools. Evaporation can cause a noticeable amount of water loss, particularly when the water is warm and the outdoor temperatures are cool. What you’ll need: a 5-gallon bucket and a piece of tape or grease pen. A permanent marker should also work. Begin the test with your pool at normal operating level (half way up the tile or skimmer). Make sure the pool is turned off. Fill a 5-gallon bucket 1″ from the top and place on the first step of the pool. On the inside of the bucket, mark the water level inside the bucket with tape or grease pen. On the outside of the bucket, mark the pool water level with tape or grease pen. Resume normal operation of your pool and allow the system to run for 24 hours. Avoid swimming during the 24 hours so there is no disruption of the test due to splashing. After 24 hours, shut the pool off and check both marks. For optimum results, we recommend repeating the test for an additional 24 hours with the pool off. This will help to determine whether it is a structural leak vs. a plumbing leak. If the levels have dropped the same amount inside and outside the bucket, then it is likely evaporation. If the level drops more on the outside of your bucket, you probably have a leak. If you’ve identified that you have a leak, you’ll probably need professional diagnostic and repair. This may include a pressure test of the underground plumbing, sending a diver into the pool to locate structural leaks, or both. Leak detection may also include the leak detection expert using special electronic audio leak detection. Contact us today! 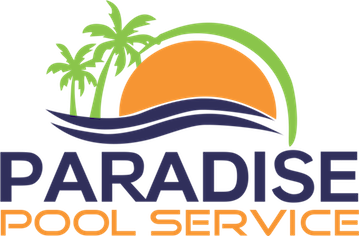 Paradise Pool Service works with pool and spa leak detection experts who can find and fix your leak. If you’re outside of the Jacksonville area, contact your local pool company or search for “pool leak detection” or “pool leak locators” in your area.